Log Parser for Hyper-V Bandwidth Meter now creates 2 reports. 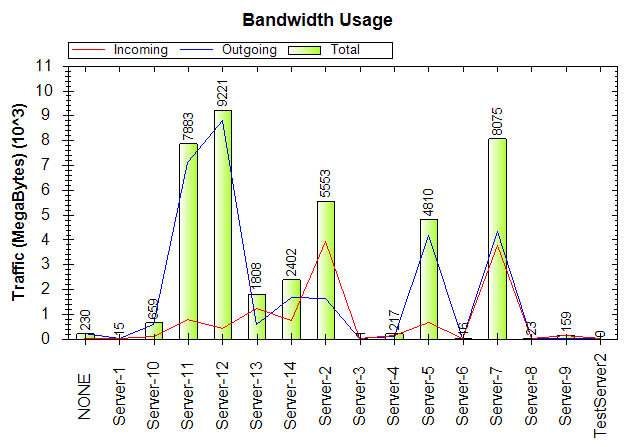 The first one is a HTML report showing the daily bandwidth usage of Hyper-V virtual machines (incoming and outgoing traffic in separate table columns) as long as the total usage per machine for selected period. The second one is a simple short list of Hyper-V virtual machines (virtual servers) and their traffic usage for the period. This brief report is in CSV format and it is easy to import it to Excel or some database (e.g. your billing system). Moreover, you can customize the report templates to fit your needs! By the way, this Log Parser can process log files of Microsoft Virtual Server 2005 Bandwidth Meter too. This entry was posted in Bandwidth meters and tagged bandwidth, bandwidth meter, hyper-v, logs, virtual server on October 17, 2010 by admin. 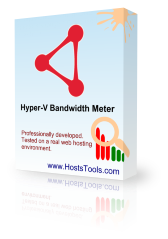 Hyper-V Bandwidth Meter 2 is a tool for Hyper-V bandwidth usage monitoring, counting and reporting. It provides a bandwidth control on per virtual machine basis for different protocols (ARP, TCP, UDP, ICMP, IGMP). With this tool you can see the amount of data used (downloaded and uploaded) by each virtual machine (virtual server). Thus you can bill your customers for the bandwidth usage or just find out which virtual machines cause that high network load. Installation is straightforward and only takes a couple of minutes. 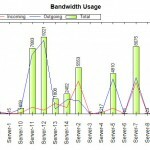 This entry was posted in Bandwidth meters and tagged bandwidth, bandwidth meter, hyper-v, log, traffic meter, virtual server on September 8, 2010 by admin. Bandwidth Meter for Microsoft Virtual Server 2005 is a unique tool for MS Virtual Server 2005 bandwidth usage monitoring, counting and reporting. What makes it unique? It provides a bandwidth control on per virtual server basis for different protocols (ARP, TCP, UDP, ICMP, IGMP). With this tool you can see the amount of data used (downloaded and uploaded) by each virtual server. Thus you can bill your customers for the bandwidth usage or just find out which servers cause a high network load. Installation is straightforward and only takes a minute by entering IP address of your server and clicking several buttons. 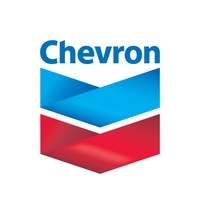 This entry was posted in Bandwidth meters and tagged bandwidth, bandwidth meter, virtual server on December 20, 2009 by admin.